Price excluding VAT.(Incl. VAT £1,680) *VAT Relief available on this product. The Roma Vienna is an extremely compact powerchair which is perfect for narrow hallways, navigating doorways, and general indoor use. If you are a first-time powerchair user, then this is a great choice. It’s important to note that the Vienna isn’t suitable for outdoor use. The 8-inch wheels don’t have any suspension, so it would feel very uncomfortable on bumpy surfaces. As the floor in shopping centres is usually flat, then this would be okay. If you’re looking to transport the powerchair, it can be broken down and ready for storage in just a few minutes which makes it easy to transport between locations. The heaviest section weighs 18 kgs which should be manageable for most people. 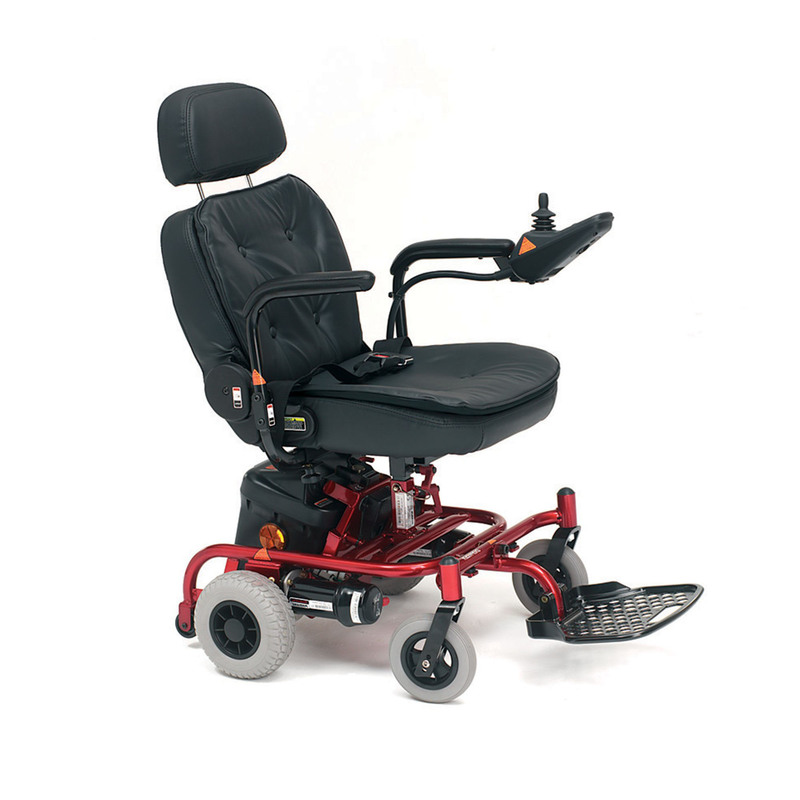 A padded seat will keep you comfortable while driving this powerchair. The height, width, and backrest angle can be adjusted for optimal comfort. The flip-down armrest will make transferring to and from the chair easier. The highly responsive joystick control is very simple to use and can be set up for left or right-handed operation. The Vienna is a budget powerchair and would suit those who don’t require any advanced seating or postural needs. If you’re interested in the Marbella or any of our powerchair range, please call us on 02392 255600. Alternatively, pop into one of our showrooms in Waterlooville or Torquay.